Two new Middle Ordovician ostracods from Oslo. 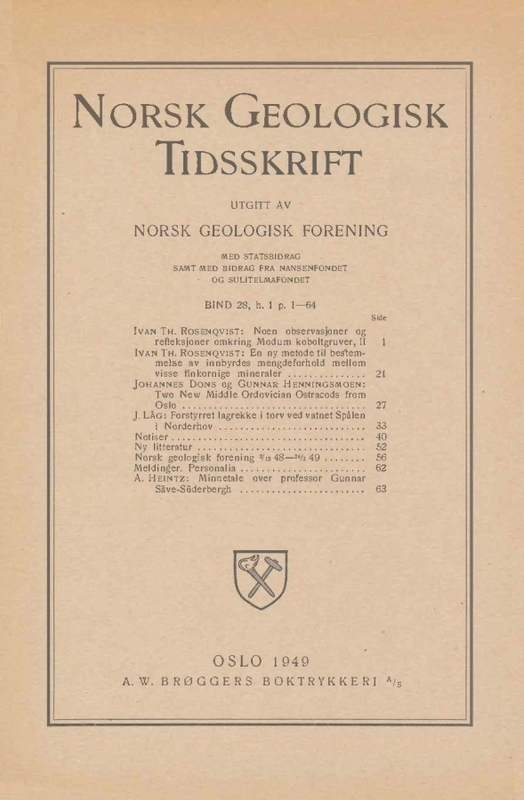 Description by Henningsmoen of a new Beyrichiacean ostracod genus, Ullia, and description by Dons of its two known species, U. ulli sp. n. and U. holtedahli sp. n. from 4 a α-β and 4 b α respectively.